Brutal has confirmed his class with a tough all-the-way victory in the Listed Antler Luggage Plate at Flemington at his first attempt at 1400m. 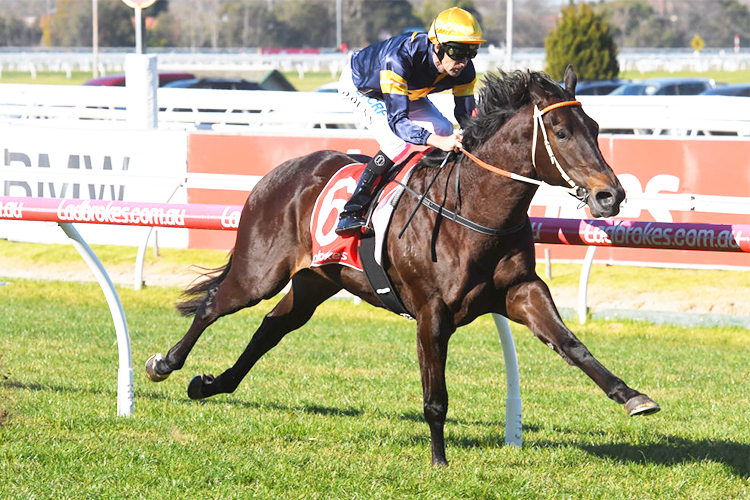 After chasing down the leader at Moonee Valley last month, Brutal lead from the outset to claim his first 7 f victory in the Antler Luggage Plate on Saturday. Co-trainer Wayne Hawkes said a decision was likely on Monday in which direction the stable takes with the three-year-old. "You don't make excuses when they win and that is what he a winner," Hawkes said. "He's won a stakes race over 7 f at Flemington, so for where he is at this stage of his career, it doesn't get any better."